This book emphasizes prehistoric uses of plants in the Four Corners area, focusing on Mesa Verde National Park, Chaco Canyon, Canyon de Chelly, Aztec Ruins, Hovenweep, and other major sites of the region once occupied by the Navajo, Ute, Paiute, Hopi, and Apache peoples. Dunmire and Tierney are able to eloquently illustrate the importance of the people-plant relationship that has existed throughout the ages among Native peoples and how ancient traditional uses of these plants inform contemporary uses today. Through vignettes of background information drawn from lore and cultural traditions and interviews with tribal elders, Wild Plants and Native Peoples of the Four Corners describes uses for edible, medicinal, and dye plants, as well as plants used for making baskets, tools, and shelters. 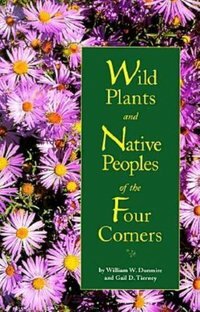 Complementing these essays are profiles of fifty new trees, shrubs, herbaceous perennials, and grasses common to traditional Native America.